I am a girl who loves shopping, thrifting, designer pieces (at a low price), and sustainable fashion. Thus, when I discovered ThredUp, it was the perfect compilation of all three of those things! 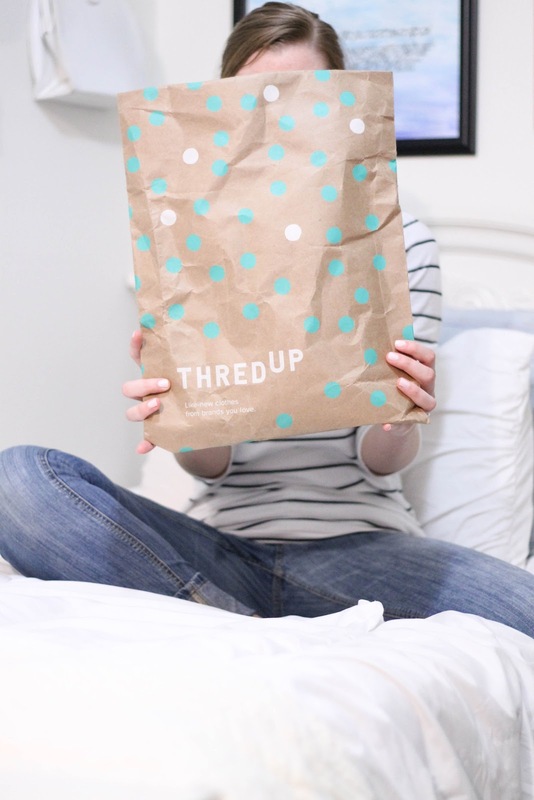 I had heard of ThredUp a few months back and kept seeing things on Instagram and Blogs about it, but never got around to actually checking it out for myself. 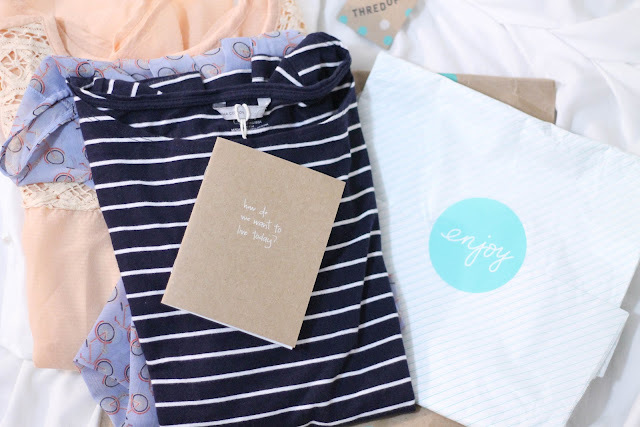 Therefore, when the lovely team over at ThredUp contacted me about doing a review I was happy to accept and excited to see just what ThredUp had to offer. For those of you unfamiliar with ThredUp, it is a website that centers around reselling top brands at affordable prices. Their focus is to help the world in one small, yet big way, by providing shoppers with a fabulous second hand experience. They believe in being a conscious consumer and in doing so greatly focus on the sustainability of fashion though second hand pieces. Thus, whether you are looking to save money on top brands or are passionate about ethical and sustainable fashion, ThredUp is the perfect fit for everyone! The other great thing about ThredUp, is you can actually order a "clean out bag" from them and send your like new clothes over for other people to get a second use out of. When ThredUp contacted me and offered to send me some pieces for a review, I immediately started browsing their stock to see what I could find. I will admit, just like any experience at a thrift store, browsing a large selection of brands and styles online can become a bit overwhelming and sometimes you might not find what you are looking for right away. 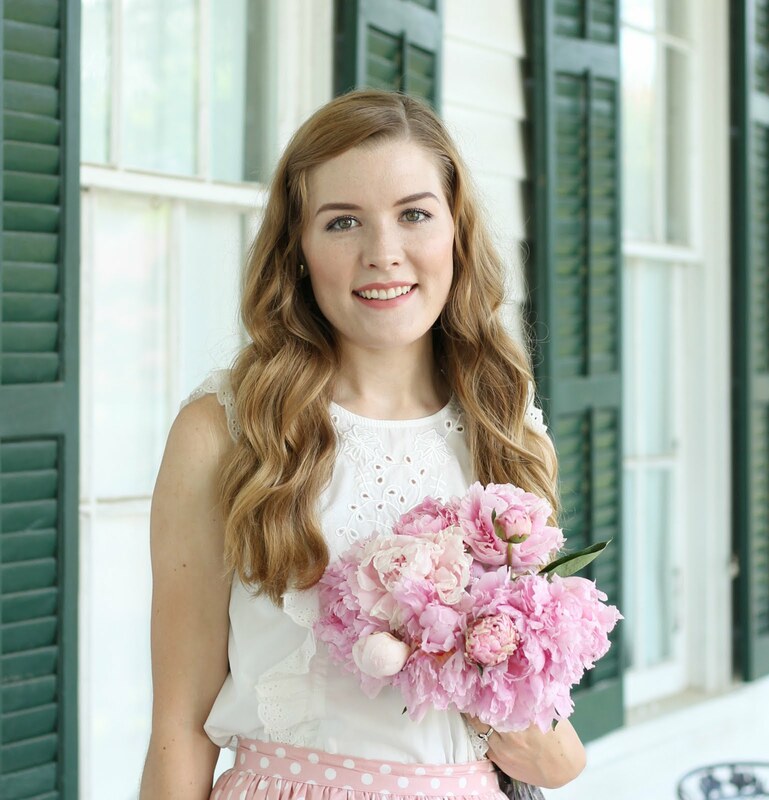 However, you can streamline your search on ThredUp and that is so helpful! Therefore, one tip I will give you for shopping ThredUp, is to go in with a plan. If you go in with an idea of the color, type, size, or brand of piece you are looking for, you can customize the search engine to select those pieces that apply (instead of scrolling through countless items). It probably took me close to 2 hours to select which pieces I wanted to order, but I also wanted to get a feel for the site and the brands they offered. 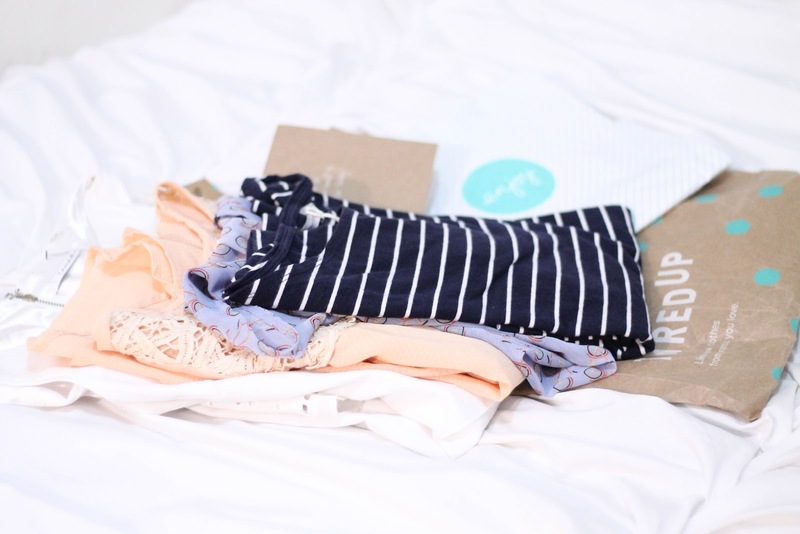 Depending on what you are looking for or how you shop, your ThredUp shopping experience could be quick or more time consuming (it just depends). However, I finally picked out four darling pieces (3 tops and 1 dress) and excitedly awaited their arrival. 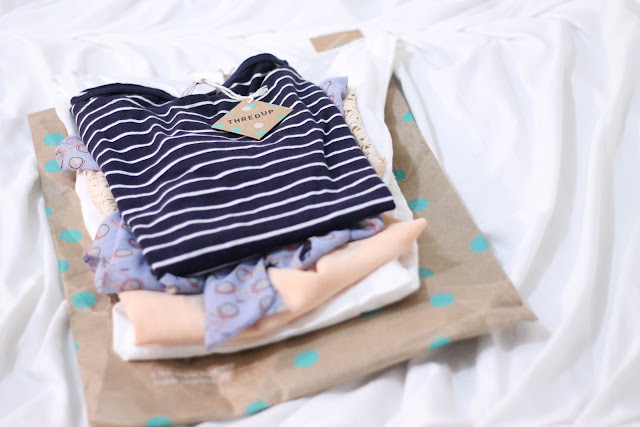 I was very impressed by their packaging method, because while all the clothes are second hand, they are shipped and packaged in a way that makes them feel crisp and brand new! Each piece was packaged perfectly and in great condition and I was excited to add such versatile pieces to my wardrobe. Throughout the next couple of weeks my outfit posts will probably feature my ThredUp pieces so keep an eye out for that! In the mean time, you can see how I styled the Bicycle blouse I received in this weeks outfit post HERE, and don't forget to check out ThredUp for yourself! 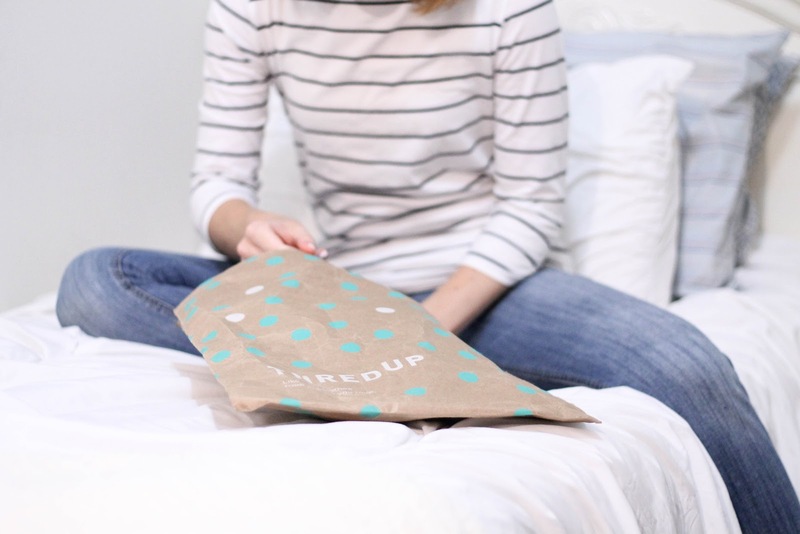 Have you heard of ThredUp before? 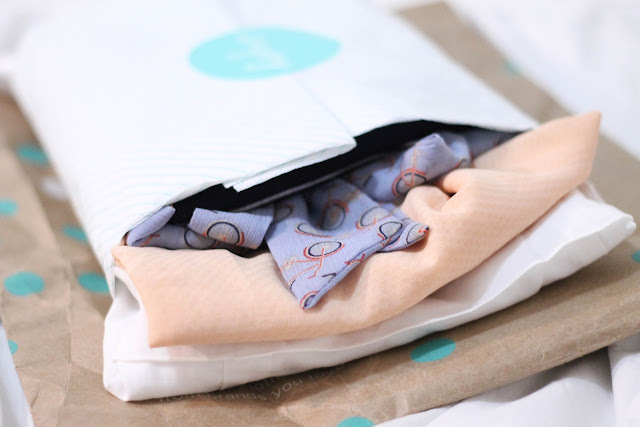 Have you ever ordered anything from ThredUp? That's a bummer you couldn't check out their website. 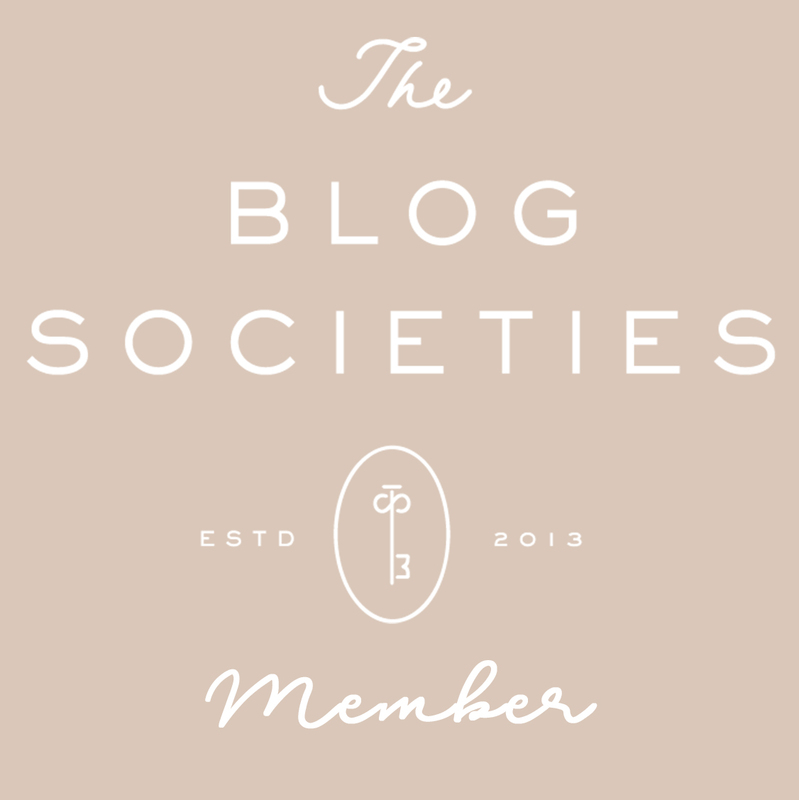 Glad to have you here on the blog! This is my first time commenting, but I've been reading your blog for a while now (as well as reading through many of your older posts) and I have to say I just love your blog and style! 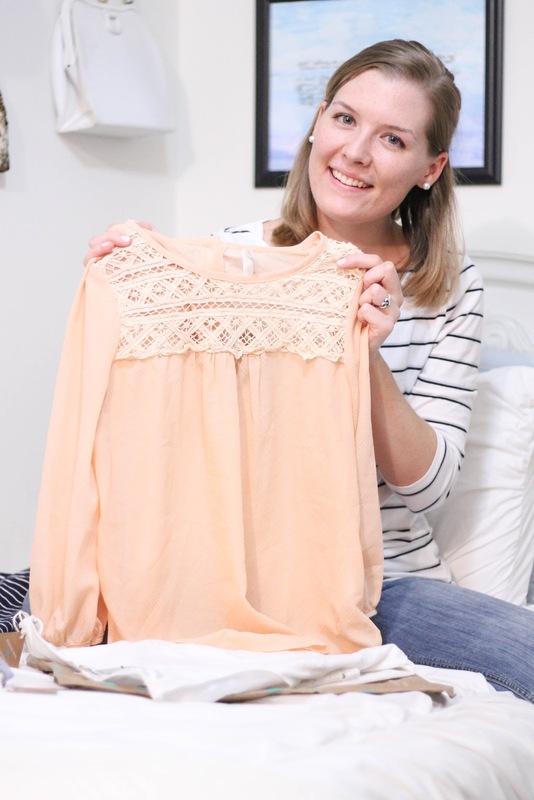 I have made quite a few purchases from ThredUp over the years, and have really scored some great pieces! I can't wait to see how you style your new tops + dress! So great to hear you have scored some great things at ThredUP and Glad to finally meet you Abby! Thank you for you sweet comment, you are the best! This sounds so cool! I'll have to check them out! I totally can sit there for hours....there is just so much to choose from. 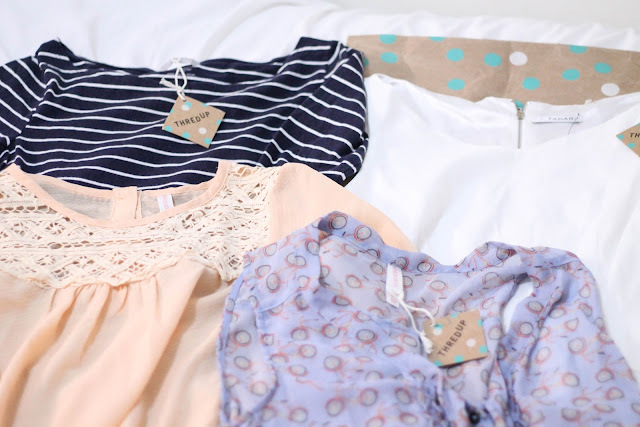 I've heard a lot about thredup from other bloggers but I have yet to try them, which is surprising considering how much I love thrifting haha! You got some really beautiful pieces. ThredUP would be such a perfect fit for you Lee! The bicycle top was totally by chance! I think I actually just searched the target brand and there it was! LOVE it so much! That bicycle print shirt is so fabulously fun. What a great find!